Rose Brass bell for a warm & round orchestral sound ML bore & precise engineering resulting in an easy to play & enjoyable C trumpet experience.This is a first class instrument seraching for a more compact sound than a large bore instrument. Advancing players please take note. Temby Rose brass trumpets are widely aclaimed for many reasons. The sound is versatile with warmth at low to mid volumes, with plenty of projection at high volumes whilst maintaining evenness of tone. 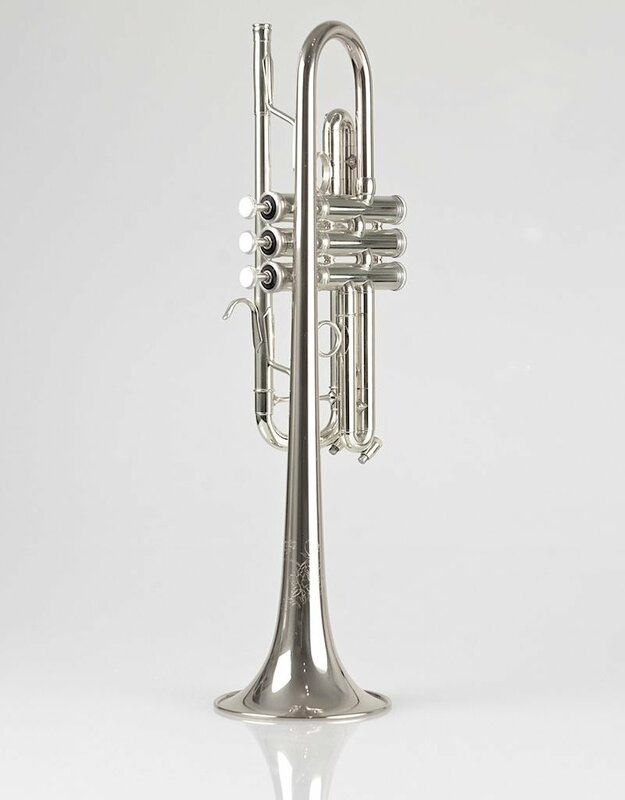 The notes lock into their centre really easily even in the double range- no drop back even on the double F#.Temby trumpet valves are fast, smooth & precise-just like the slides.This model performs at the high levels required by professional players but is equally at home with an advancing student, by encouraging confidence & skill development with more ease. The rose brass bell is made with 85% coper content which makes this horn very responsive whilst maintaining a nice warm sound. 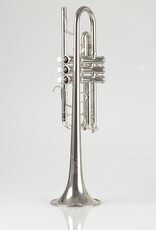 Finished in a durable clear lacquer this trumpet looks beautiful.You may wish to have this trumpet cycralign treated. This process will give you even more sizzle & focus to your sound.The Silverplating gives this horn a slightly more lively sound & is more durable.